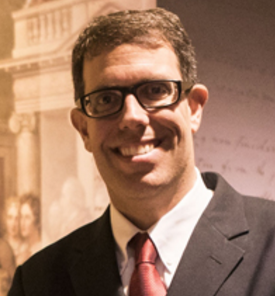 Tony Williams is a Professional Development Instructor who writes civics curricula and presents teacher programs for the Bill of Rights Institute. He earned a B.A. in history from Syracuse University and an M.A. in U.S. History from Ohio State University. He taught at the middle and high school level for fifteen years before becoming the Program Director at the Washington, Jefferson & Madison Institute in Charlottesville, VA. He has authored five books on the American founding including Washington and Hamilton: The Alliance that Forged America (2015) as well as numerous articles and essays. His Washington and Hamilton was nominated for a Washington Book Prize and a Library of Virginia Literary Award for Non-Fiction. He lives in Williamsburg, VA, with his wife and children.